Bror Julius Olsson (B.J.O.) Nordfeldt was born in Tulstorg, Scania, Sweden to parents Nels and Ingrid Olsson. He immigrated to the United States in 1891 with his family and enrolled at the Art Institute of Chicago at twenty while simultaneously working as a printer’s devil for a local Swedish newspaper. 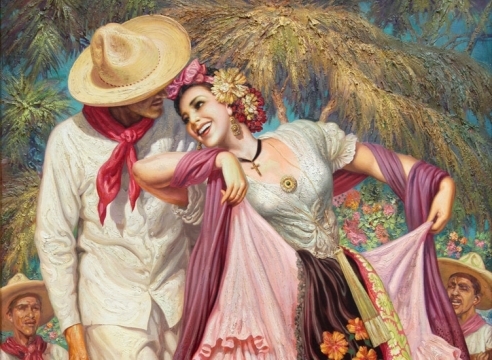 He was selected to become an assistant muralist to Albert Herter (1871-1950) for the McCormick Harvester Company’s murals at the Paris Exhibition of 1900. Nordfeldt traveled to Paris to see the project to its completion. While in France, he studied at the Academie Julian under Jean Paul Laurens (1838-1921). While in Europe, Nordfeldt went to England and learned etching and woodblock cutting in London from Frank M. Fletcher (1866-1949). He also exhibited at the Royal Academy of London. Upon his return to Chicago, set up his own studio in 1903. His early work depicted local landmarks of the region. Nordfeldt relocated to New York in 1907, but held his first solo exhibition in Chicago at the Albert Roullier’s Gallery in 1911 featuring regional subject matter, painted in abstract and impressionist styles. While in New York, he also met and married Margaret Doolittle in 1910. In 1914, Nordfeldt began spending summers in Provincetown, New York and became a founding member the Provincetown Players experimental theater group. He created set designs and frequently acted with them throughout the following four years. He also began experimenting with new printmaking techniques and in 1916 developed the “White-line” print. The method allows the artist to colorize a print using only one block of wood and one impression for each print instead of different blocks for each color the artist wished to include. During World War I, Nordfeldt was employed as Assistant District Camoufleur for the U.S. Shipping Board in San Francisco, specifically assigned to camouflage merchant ships. After the war, Nordfeldt visited his friend and fellow artist William Penhallow Henderson (1877-1943) in Santa Fe and made the decision to relocate to the Southwest, where he eventually settled for the next twenty years. This time period also marked a significant change in subject matter for Nordfeldt because he began to draw inspiration from Native American dance sequences and Mexican Americans in whom he “found individual human qualities he wanted to convey in his work” (Udall 78). Nordfeldt was greatly influenced by Gaugin, Cezanne and the Fauvist style of strong, bold coloration. In 1921, Nordfeldt joined the Taos Society of Arts. He frequently participated in group exhibitions, he refused to have any one-man shows in New York because he did not approve of the high commission demanded by galleries. The exorbitantly high cost of shipping to New York from Santa Fe made shows of this nature impractical. Therefore, Nordfeldt’s prints provided his primary source of income until 1926 when he became a painter exclusively. Documenting Nordfeldt’s work during the 1920s is also problematic because he considered much of his work experimental and chose to leave it undated and untitled. In many cases, he destroyed the works he was unsatisfied with. Throughout the 1930s, Nordfeldt taught at various schools including Utah State College and the Wichita Art Association. In 1933, Nordfeldt taught a term at the Minneapolis School of Art where he met student Emily Abbott. After leaving the campus, he began traveling the Midwest creating lithographs for the Works Progress Administration, but maintained correspondence with Abbott throughout this time. In 1937, Nordfeldt permanently relocated to a ninety-acre farm in Lambertville, New Jersey, which allowed him sufficient access to the New York City art world while maintaining the private life he desired. Biographer Van Deren Coke states that at this point in Nordfeldt’s career, “energetic paint application became his major preoccupation” and in 1931, Nordfeldt arranged his first one-man show since 1917 with Lilienfeld Galleries in New York (94-95). In 1944, Nordfeldt returned to a teaching position with the Minneapolis School of Art, divorced his first wife, and married Emily Abbott, whom he had maintained contact with for nearly ten years. The last decade of Nordfeldt’s work focused on constants that could be documented throughout the artist’s career, particularly the seascape. In 1953, Nordfeldt and his wife traveled to the California coast and Emily noted that “the resulting paintings were more abstract, the color brighter…less rigid, have movement and vibrancy and almost a joyfulness and gaiety about them” (Hunter 78). Nordfeldt died on April 21, 1955 of a heart attack while returning from a trip to Mexico. 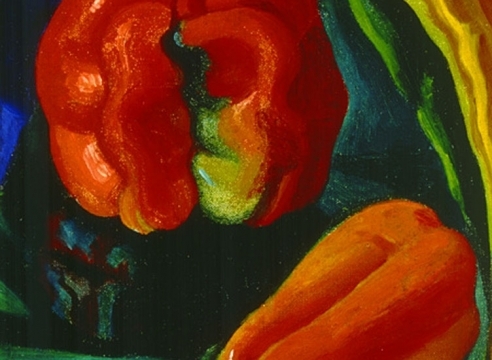 A memorial exhibition was created by the Metropolitan Museum of Art, which classified Nordfeldt as one of five major artists to have passed away between 1945 and 1955. B.J.O. Nordfeldt had a varied range of artistic instruction and found his greatest inspiration from vastly different regions including New Jersey, California, Santa Fe, and Minnesota, each of which became the artist’s home during his lifetime. 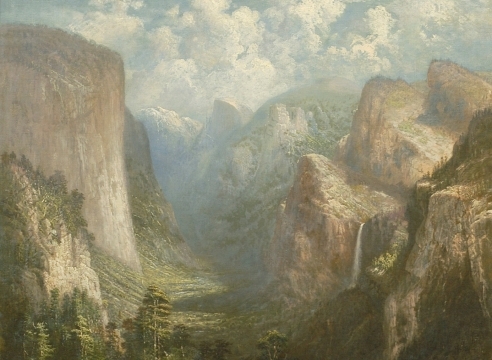 However, one constant that can be found throughout Nordfeldt’s work is his love of these natural surroundings and more importantly, his desire to express the unique feelings that resulted from each location. Biographer Van Deren Coke described this process, stating that Nordfeldt “got a deep feeling of satisfaction out of controlling the viscous quality of paint. He sought to breathe his own energy into his subjects by deftly applying a loose patch of color, then shaping it to define a form” (99). Sam Hunter states that Nordfeldt’s career “coincided with one of the most revolutionary and complex periods of change in western art” (14). Appropriately, the artist’s career can be viewed as an experience of trial and error that reflects the changing artistic tendencies throughout American art of the time period. While Nordfeldt studied drawing at the Academie Julian in Paris and woodblock cutting in London, his independence from this instruction is most notable. 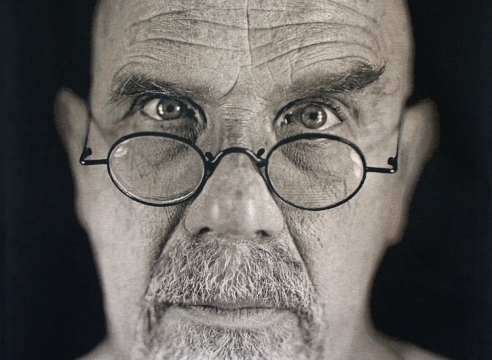 He was disenchanted with his three-week instruction in Paris, and though he internalized Fletcher’s teachings on Japanese printmaking, he used this technique as a springboard to create his own “White-line” printing technique. Nordfeldt found his greatest and most consistent inspiration in French master, Paul Cezanne’s work. Use of flat, independent color combined with dense and strongly outlined forms created a unity between figures and landscape that characterized much of Nordfeldt’s work. Nordfeldt used abstract designs consistently, but clarified the importance of connecting his work to reality by stating, “I believe that since all painting is borrowed visual experience, there must be a recognition element to serve as a bridge between abstract form and the beholder” (www.delart.org). Therefore, he consistently traveled to his mentioned favorite locations and would make small sketches to use when memory would not suffice. When Nordfeldt moved to Santa Fe in 1919, his work reflected a dramatic change in subject matter and opened up a new period of experimentation for the artist. The most notable change for Nordfeldt was the incorporation of local cultural motifs, particularly from Native American pottery. 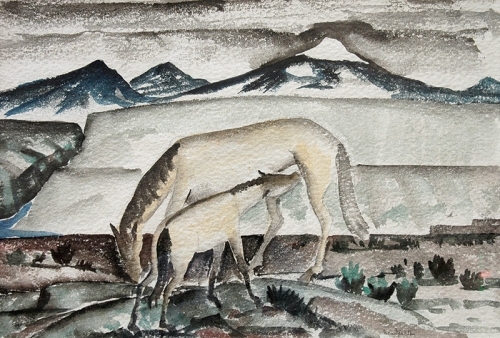 He also began using Native and Spanish Americans as models and through this, according to Sandra Langer, Nordfeldt “gained importance as a pioneering modernist for his non-academic handling of American Indians, whom he painted in an Expressionistic manner, using bold colors and flat patterns.” However, Nordfeldt considered many of his landscapes from the 1920s to be unsatisfactory and consequently destroyed many before leaving Santa Fe in 1937. In 1936, Nordfeldt traveled to Paris and England with Russell Cowles (1887-1979) to view an exhibition of Chinese art. Neither took exceptional inspiration from the exhibit, but while in London, the pair viewed an unfinished work by El Greco at the National Gallery. Nordfeldt found himself particularly drawn to the piece because of “the expressive quality of the distortions used by the Spanish master and by the fact that oil pigment had been applied by El Greco over a tempera ground” (Coke 88). After seeing this, he began painting in oil, over two coats of tempera, in a similar process to that of El Greco. In the latter half of Nordfeldt’s career, the artist began to strip down his style to more basic forms and placed emphasis on the repetitive elements of natural patterns. This can particularly be noted in Nordfeldt’s marine paintings, which had been a staple of the artist’s career. Nordfeldt explained his interest in the sea stating that he was “interested in the nature of water – its fluidity, its weight and strength” (Schwarz). While Nordfeldt had continually attempted to depict these ideas, there is a sense of loneliness and depth that can also be attributed to the artist’s longing for a solitary lifestyle while at his New Jersey farm. Upon reviewing Nordfeldt’s last set of paintings, New York Times critic, Howard Devree described the artist’s work as “packed with vigor and explosive emotional intensity…no more vigorous painting has been shown this season.” This final review expresses the culmination of Nordfeldt’s work and his overarching desire to express the powerful forces of nature and culture that can be felt from coast to coast. 1949 Bronze Medal, Corcoran Gallery of Art, Washington, D.C. Developed by Nordfeldt, the White-line method of printmaking involves carving a woodblock, then painting a picture on the block, allowing grooves to separate the colors. Nordfeldt would paint the single block with whatever colors he chose and could change the colors he wished to without having to carve another block. Historian David Action states that this method was “more appropriate to his spontaneous, post-impressionist style of the movement” than the traditional method taught by Fletcher in London. The traditional technique of woodblock printmaking draws from a long history of Japanese techniques that require the artist to cut different blocks for each color he wishes to include within the finished print. The print then has the impression of each block pressed into it to create the final product. This process was more physically demanding, and Nordfeldt’s method presented a departure that resulted in unique prints limited only by the artists’ skill and patience. Fellow Provincetown blockmaker Blanche Lazzell is also occasionally credited with co-creating the innovative design, which was used widely throughout the Provincetown artist’s community. 1. Action, David. A Spectrum of Innovation – Color in American Printmaking 1890-1960. 1990. 2. Coke, Van Deren. Nordfeldt the Painter. Albuquerque: University of New Mexico Press, 1986. 3. Devree, Howard. 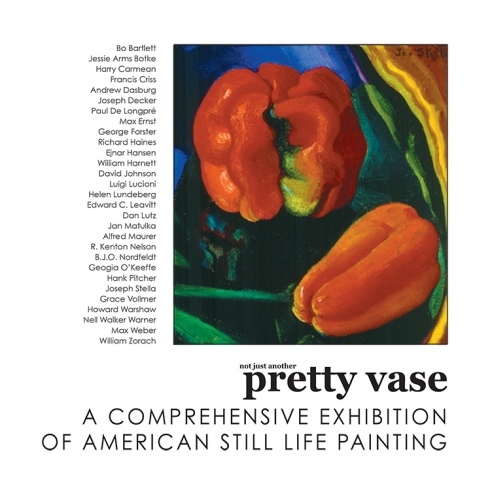 “Isolated Southwest, Restless Sea Limned in Work of O’Keeffe and Nordfeldt.” New York Times. 30 March 1955. p.32. 4. Hunter, Sam. B.J.O. Nordfeldt: An American Expressionist. 1984. 5. Preato, Robert and Sandra Langer. Impressionism and Post-Impressionism Transformations 1885-1945. 1988. 6. Udall, Sharyn. Modernist painting in New Mexico 1913-1935. 1984. 1920 Smithsonian Institute, Washington, D.C.